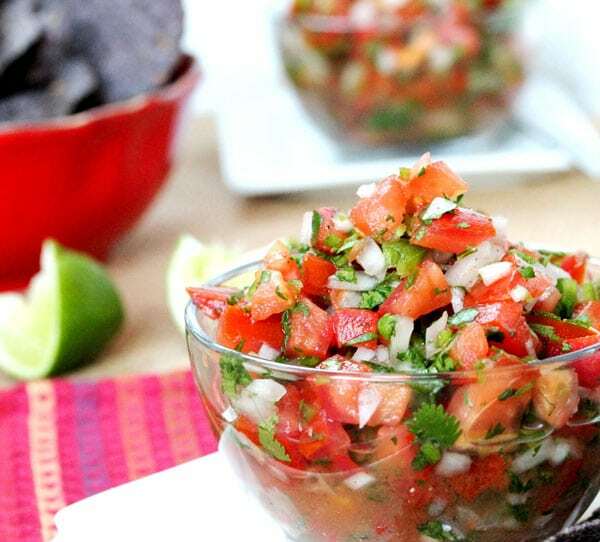 It’s so easy to make this pico de gallo you’re going to wonder why you don’t make it more often. 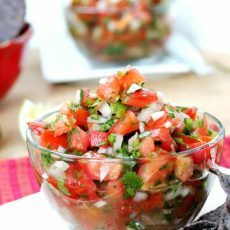 Pico de Gallo is one of those things that when all ingredients are mixed together it has a delicious taste of one…rather than tasting each of the ingredients separately. It lasts nicely in the fridge too. And it seems to get better over time as the flavors hang out together. 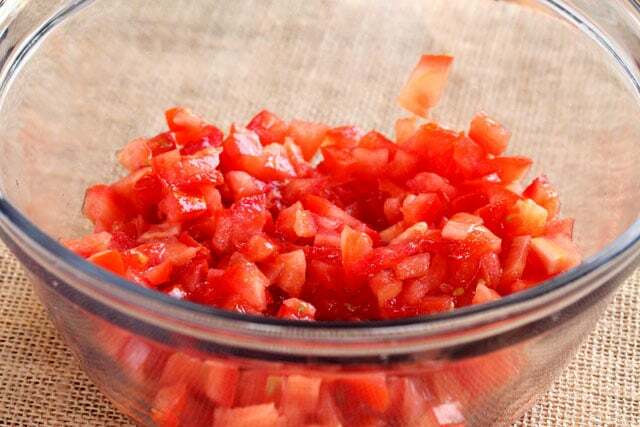 Pico de Gallo tastes great on top of scrambled eggs, virtually any type of Mexican food, and of course with tortilla chips. YUM. 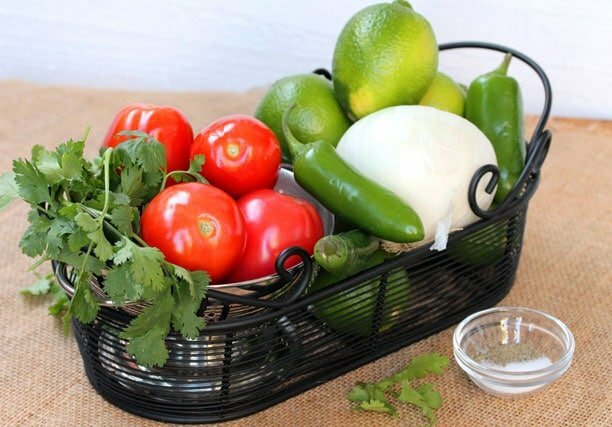 When I worked in a grocery store and would be in the checkstand checking out groceries I would often times notice customers buying large amounts of Roma tomatoes along with fresh onions, Jalapeno or Serrano peppers, and cilantro. 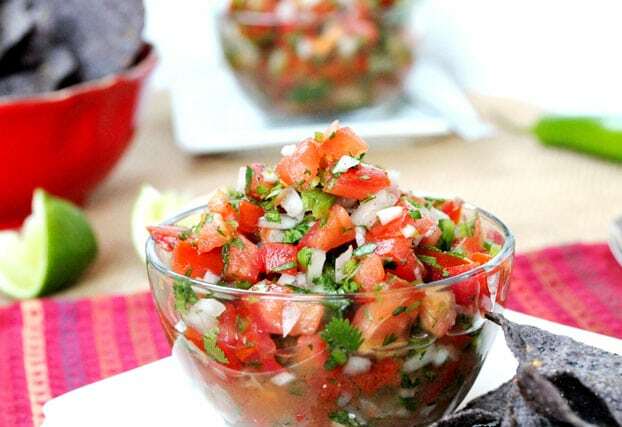 Out of curiosity I’d ask what they were making and most of the time it was Pico de Gallo or salsa. 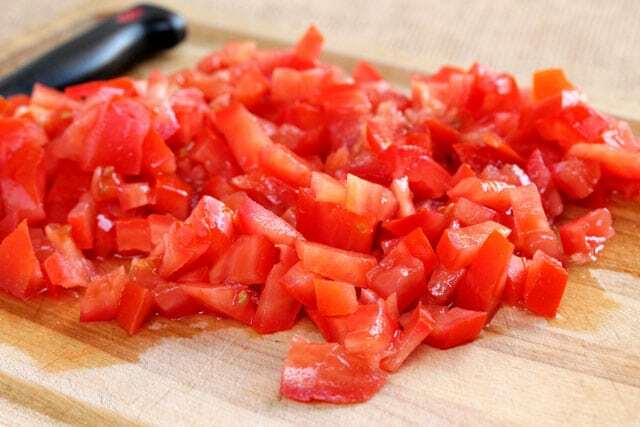 So I got in the habit of using only Roma tomatoes when I make homemade salsa or Pico de Gallo. 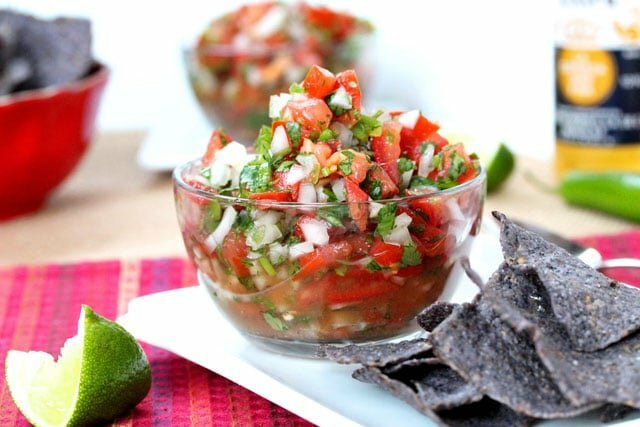 The key ingredient in this pico de gallo is salt. 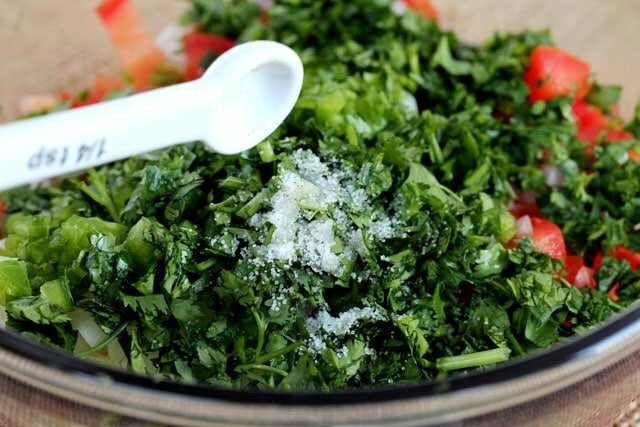 There’s a point when just the right amount of salt makes it taste perfect. 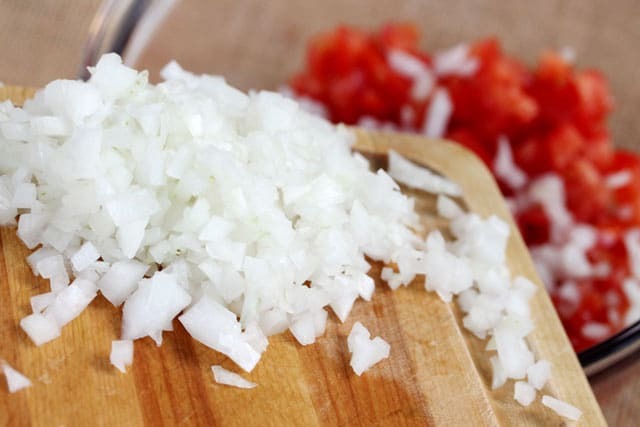 So be sure to do a taste test after mixing the ingredients together and definitely add more salt if needed. 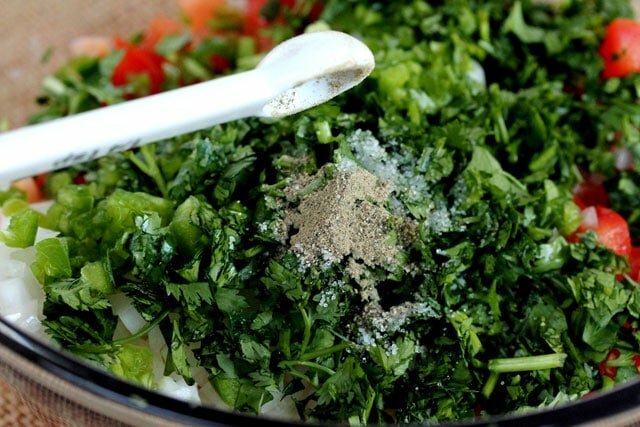 ….add it to the bowl. 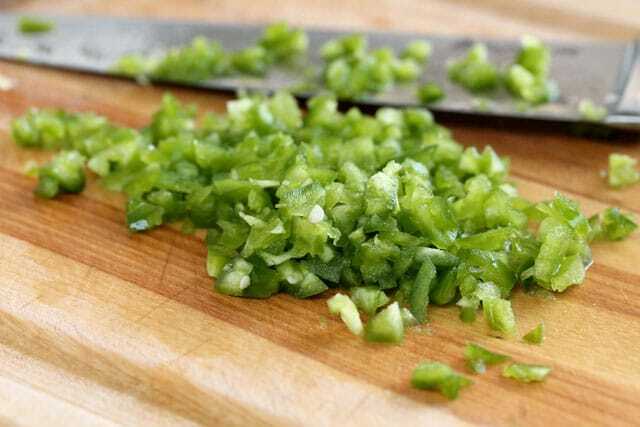 and the pepper to the bowl. 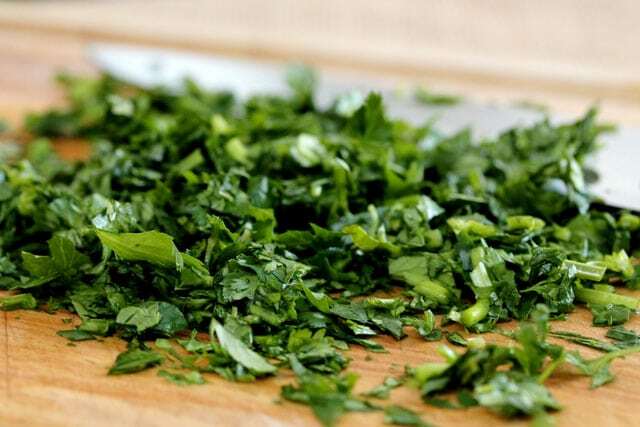 Chill before serving and …. 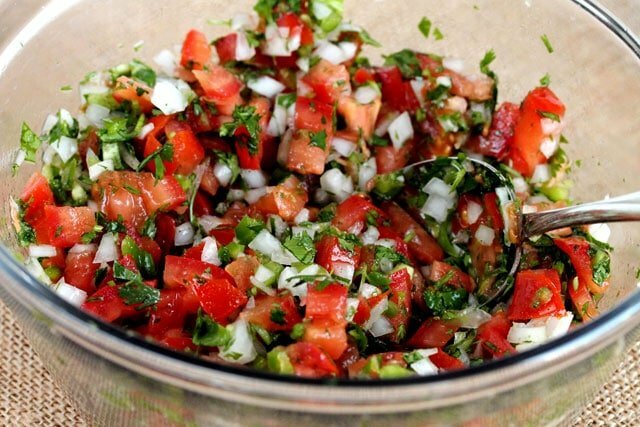 It's so easy to make this pico de gallo you're going to wonder why you don't make it more often. 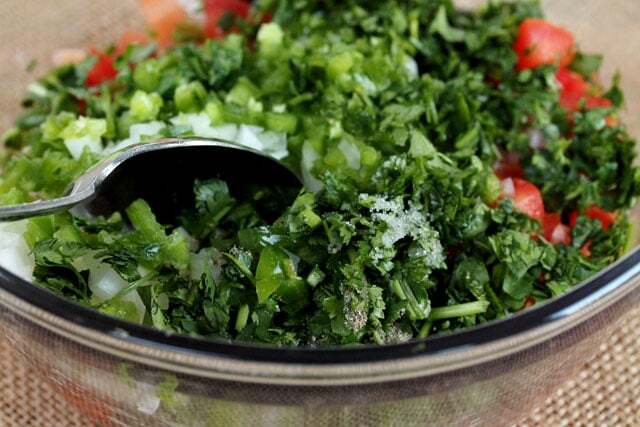 In a medium size bowl, add the tomatoes, onion, Jalapeno (or Serrano) peppers, cilantro, salt, pepper, and juice from ½ of a lime. Stir together. 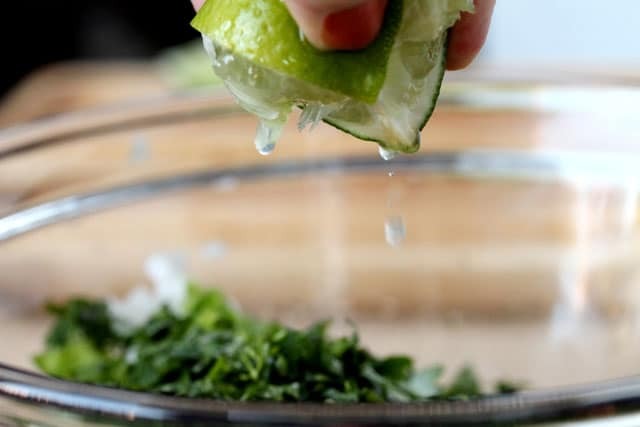 Serve chilled as a dip or use as a topping for eggs, salads, tacos, or nachos. Stir together. 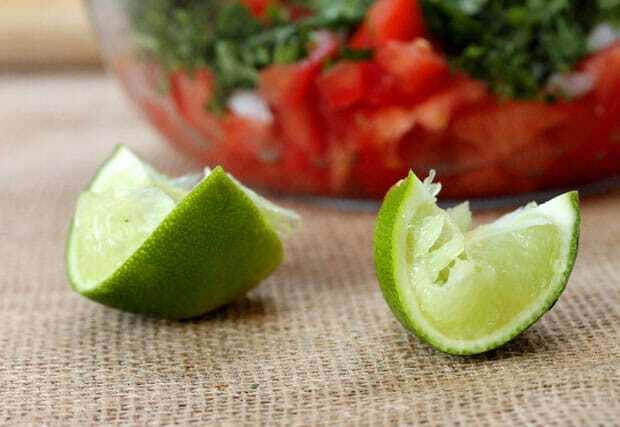 Serve chilled as a dip or use as a topping for eggs, salads, tacos, or nachos. Make sure to add enough salt. The flavor really pops when the amount of salt is just right. 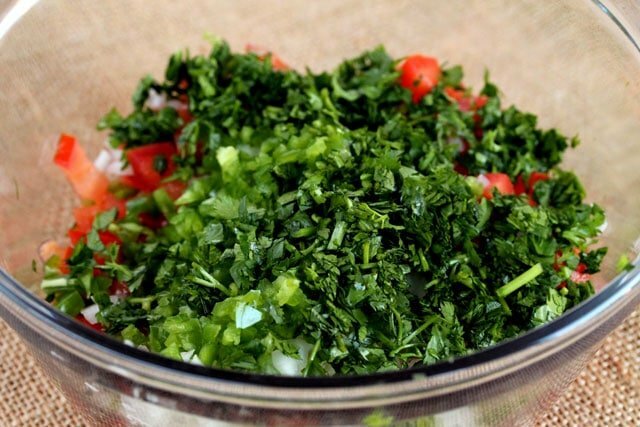 Chill in the refrigerator before serving to give the ingredients time to incorporate or "mesh". 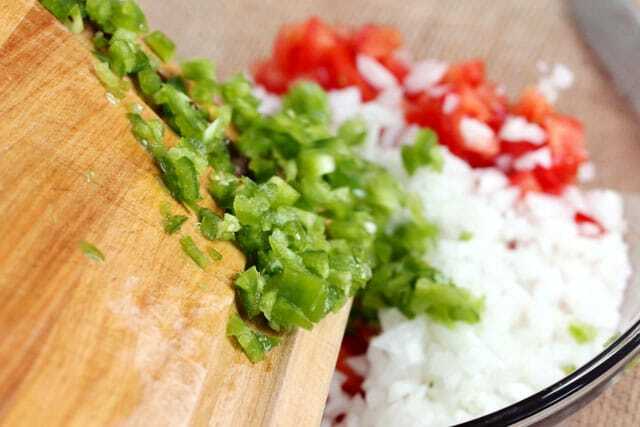 Stir the Pico de Gallo together just before serving.